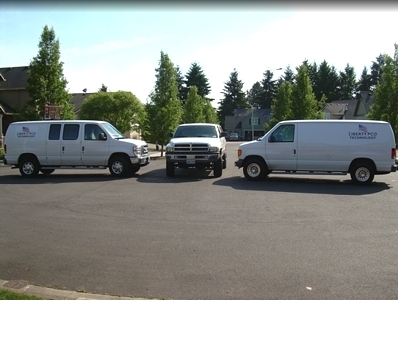 We offer a wide variety of quality pest control services ranging from single visits to long-term maintenance programs. We utilize discreet unmarked vehicles staffed with professionally trained technicians using the latest up-to-date procedures. We are licensed, bonded and all of our work is 100% guaranteed. Roach control, ants, spiders, weevils, flies & rodent removal. Apartments, hotels & motels, hospitals, care facilities, food-processing plants, commercial kitchens & bakeries, industrial plants & warehouses, zoos, and soil treatment. rats & mice, roaches, silverfish & other pantry pests. Humane raccoon & squirrel removal from homes and rental properties. Structure-destroying insects: Termites & carpenter ants. We offer pre-treatment & long-term maintenance programs. Traveling this summer? Bedbugs love hotels & motels. CLICK HERE to download your BEDBUG checklist. Liberty Pest Control offers a "Green Earth" program using insecticide-free treatments. We care about the environment of our planet and the safety of you, your children and pets.